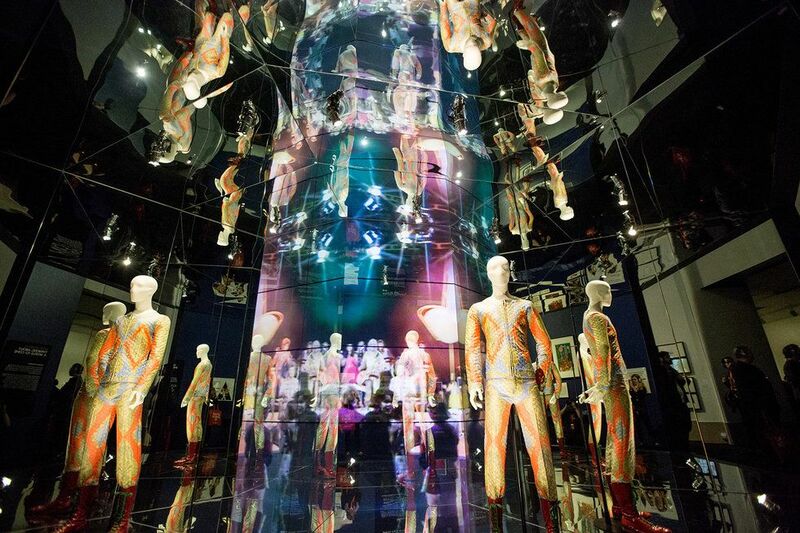 David Bowie's exhibit is in the middle of its final run. The David Bowie exhibit, David Bowie Is, reached its final destination this March and after it leaves the Brooklyn Museum on July 15th, the tour will be done for good. Bowie's intention when he started the project in 2013 was to begin near his home in London, and finish in New York City, the place he most associated with his success as an artist. When he died in 2016, the tour was at the Groninger Museum in the Netherlands. Instead of cancelling the exhibit, the Groninger extended Bowie's stay for an extra four weeks. All the other scheduled museums reaffirmed their commitments, and the show didn't miss a beat. Now that David Bowie Is has reached the end of its journey, it almost feels like losing the artist for a second time, as if he's finally faded way. The exhibit itself is a sprawling collection of over 400 pieces of unique David Bowie memorabilia, from his 1976 coke spoon to vintage posters to notebooks for his final, posthumously-released album Blackstar. Reviewer Rob Sheffield described the items as "not just a collection of [Bowie's] artifacts, [but] a collection of all the different people he was." This description is appropriate, as the artifacts span Bowie's entire 50-year career and throw every era of his career into the limelight. That said, the objects in the exhibit don't function as individual dots in some pointillistic portrait of Bowie's interior life. They're too attached to his public persona. More realistically, they act as a compelling archive, documenting the exploits of David Bowie, mostly glossing over David Robert Jones. In this way, the exhibit side steps a certain biographical trope, allowing viewers and critics to maintain their mythologization of the pop star. That isn't to say that there's no mention of Bowie's early life. There are drawings of his parents from when he was a child. His first saxophone is there. It's just that the scope of the artifacts from after Jones became Bowie renders that stuff inconsequential. It feels like an artistic statement, one intended to highlight how Bowie's larger than life on-stage persona completely subsumed whoever the real David Robert Jones was. The picture of Bowie's life we are given is one of intrigue and costumes, replete with everything a fan could ever imagine. Every shimmery detail of his glorious pop stardom is represented. The makeup from Ziggy Stardust? Check. Weird cage boots from the Dead Man Walking music video? Check. 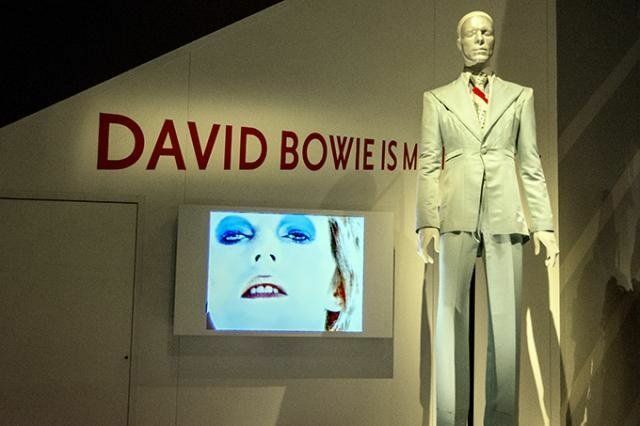 The length of the exhibit's run is a testament to how large David Bowie loomed in the public's imagination. True, he was a musical visionary, involved in not just his own work but in the work of artists like Brian Eno and Queen, but he also had that ineffable star quality. If it was as simple as wearing elaborate make-up and being vaguely queer, Lou Reed would have been just as famous. Bowie captured something beyond the realm of what people thought was possible in 70s pop music. Whatever strange version (and there were many) of himself he was on at a particular time, he was authentically that thing. He was one of the first artists to blend rock and roll with performance art, and was commercially successful to boot, paving the way for artists like Madonna and Lady Gaga. Whatever your personal feelings on Bowie, it's undeniable that he was something different, someone who with each release pushed the music world a little bit further forward. As of right now, tickets for David Bowie Is are only $20, but according to the Brooklyn Museum's site, the tickets are selling out very fast. Whether you're a fan or not, the exhibit is a wonderful look at one of rock history's most unique characters. It's definitely worth checking out before it's gone.